Not long ago my Musical Theatre course did a practice Disney audition, and I got through to the end. I wasn't expecting to get through the first round - let alone the end! I was eager to find out what I'd be cast as. 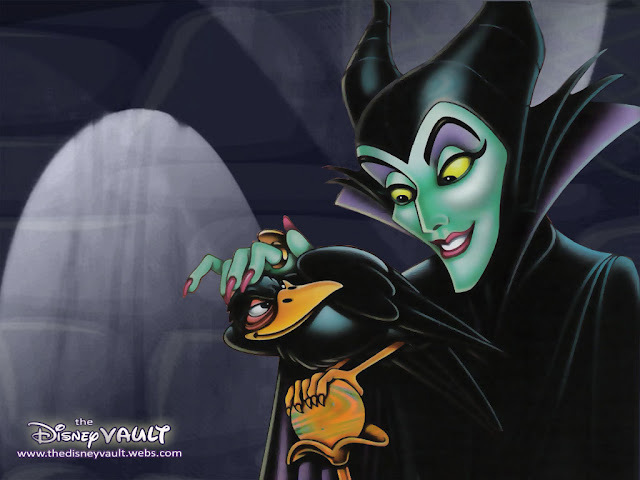 'Maleficent,' I was told. Maleficent? I always get the evil characters so this wasn't a surprised to me. 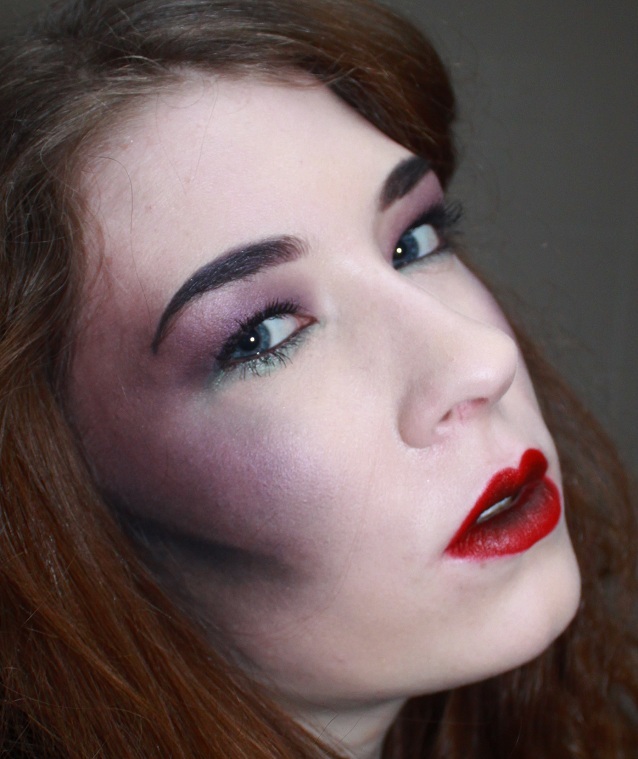 Recently I was thinking about it again and wondered what I'd look like if I did a make up look inspired by her. So that's what I did. The pictures are coming up on my screen quite bright, and on my camera screen it's slightly darker - so not sure how these will look to you! The purple on my cheeks and eyes is pretty dark in real. To create this look I used the MUA BB foundation all over my face. 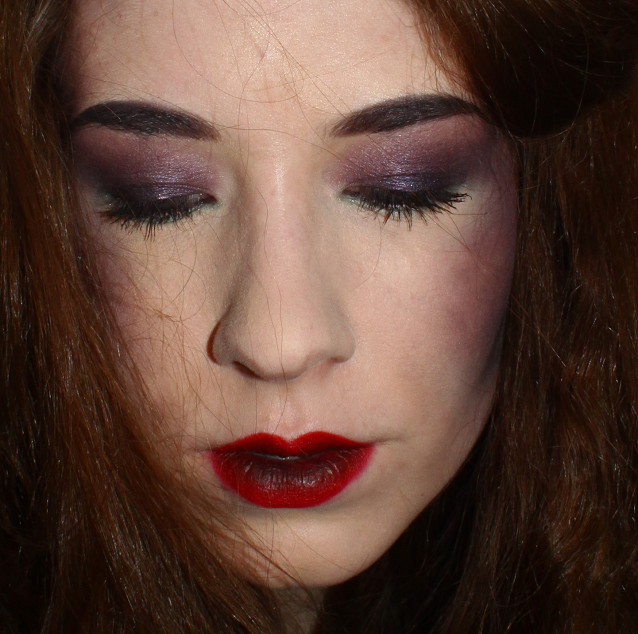 I then used the Urban Decay Primer Potion in Eden all over my lids, cheeks and under my eyes. 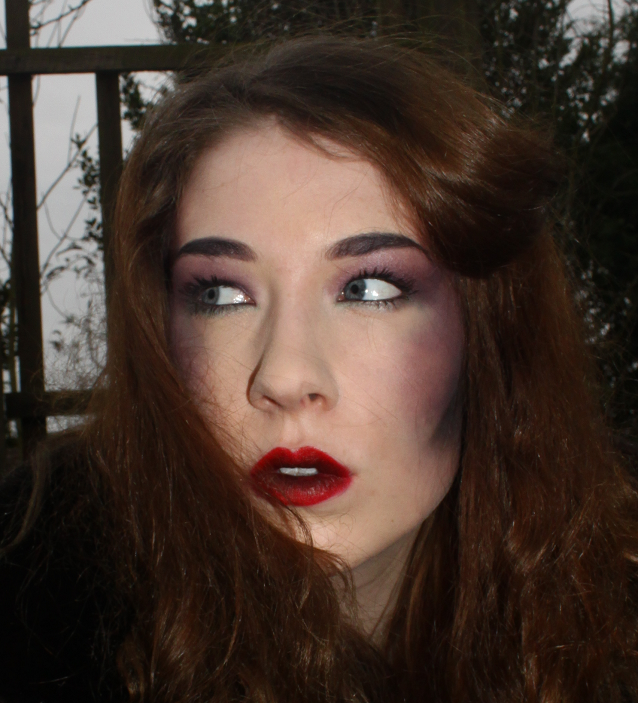 I then packed on Tornado from the Glinda Urban Decay palette all over my lids. I then used a blusher brush and sweeped Tornado all over the tops of my cheeks and worked it up towards the end of my eyebrows and my eyeshadow. I added to the centre of my lids Half Truth from the Urban Decay 15th Anniversary palette as it had a slight violet/blue shimmer to it which would catch the light nicely. Then popped Rockstar eyeliner by Urban Decay on my waterline. 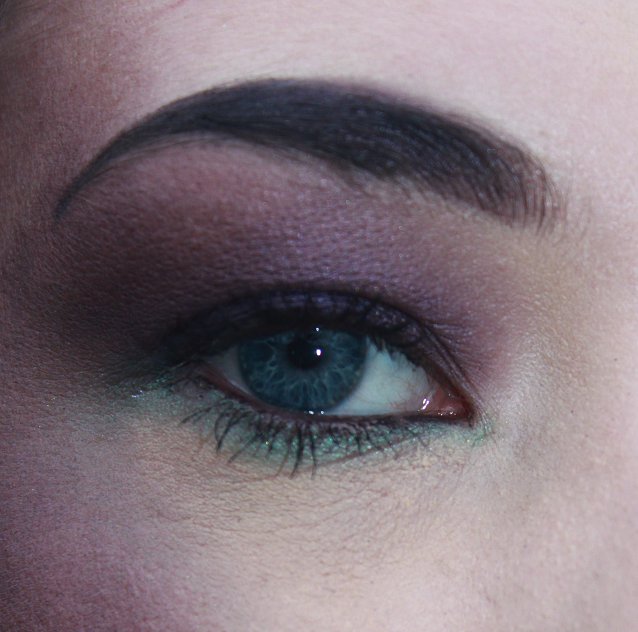 I then used the dark green in the MUA Glitterball palette under my eyes, and then used my finger tips to smudge lightly some of the green on the top of the purple on my cheeks to create more dimension. Also to create more dimension I lined the bottom of my cheekbone with a matte black, I chose Blackout from the Urban Decay 15th Anniversary palette. Then with a blending brush I added more Blackout to the line and worked my way down to create create depth in the cheeks. I filled in my eyebrows with a mix of Blackout and Tornado. To finish off the look I painted my lips with the gorgeous Russian Red lipstick from Mac, and then with a small brush I added Blackout to the inner part of the lips. What do you think of what I've done? Do you like creative looks like this? I'd love to hear what you think, and I reply to all comments. Thank you for reading, and thank you if you take the time to follow or comment! 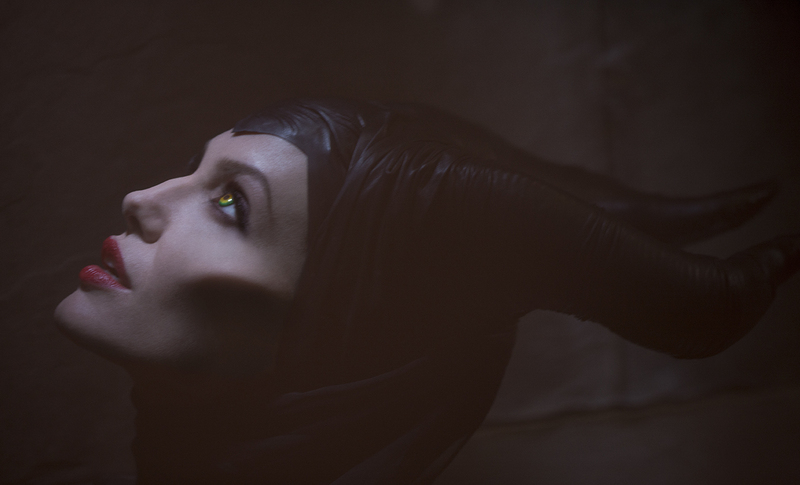 Below, Angelina Jolie as Maleficent in the movie that is due out next year. I love this! Soo fun! 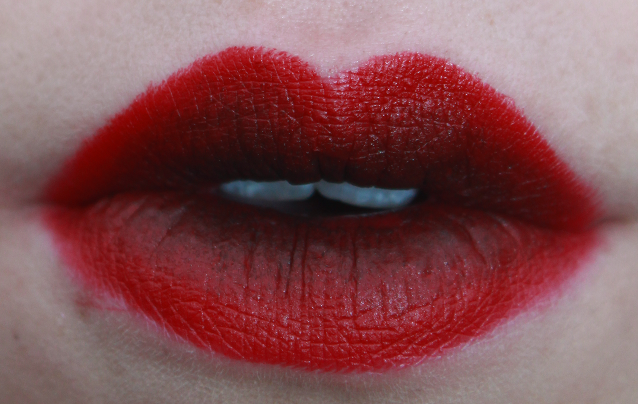 :) Love the red lip, and the eyes look super gorgeous. Great job! Congrats on getting through and you're so talented! 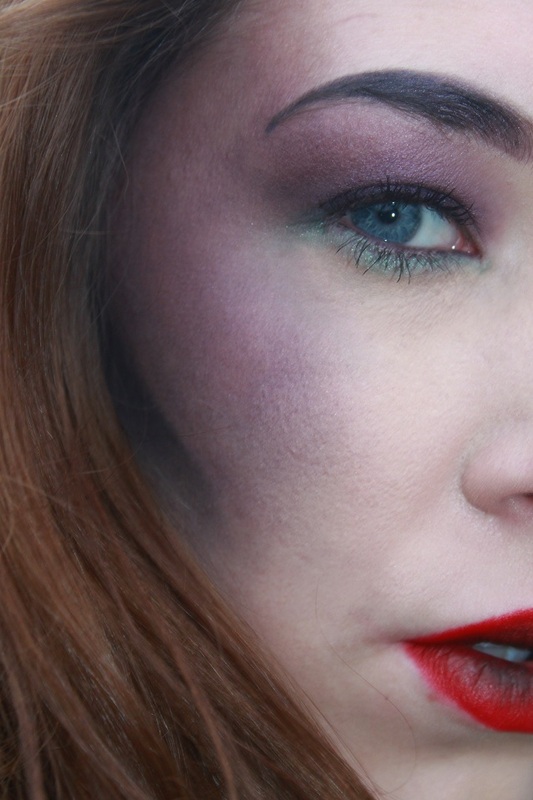 Love your make up, it's very dark and evil looking which really suits the character! omg you did such a good job!!! this is amazing! Wow this is so creative and dark. I love the gradient lips and purple contour! Your very talented. This looks amazing! Your really talented! The cheek definition is amazing. I might need to look at this post come Halloween.